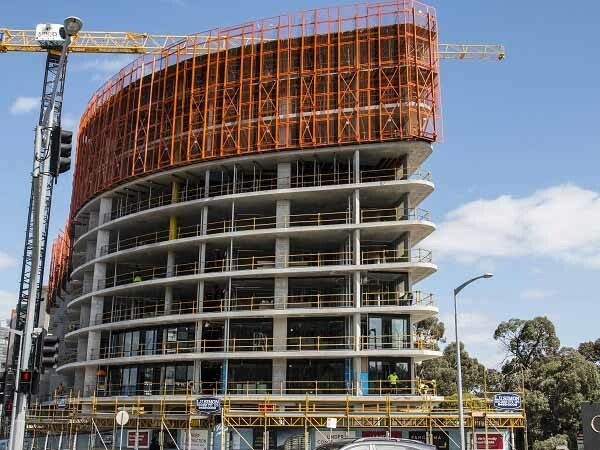 Standing tall on Doncaster Hill and located right opposite the Doncaster shopping centre, Panorama Apartments is a 221-unit residential project planned over 13 floors. Designed by Peddle Thorp Architects with L.U Simon as the builder, Panorama at 101 Tram Road will feature MAX 100 centre double glazed framing systems and MAX double glazed sliding doors from EDGE Architectural. Pacific Shopfitters is the window fabricator on the project. Panorama boasts of impressive skyline views, which can be enjoyed by future owners and tenants through the luxurious glass facades facilitated by MAX double glazing framing systems and sliding doors. The double glazing will ensure interior comfort for the residents and minimise the need to spend excessive amounts of money to combat seasonal temperature changes. Double glazing systems deliver a number of benefits in any installation. Some of the advantages provided by double glazed aluminium windows and doors include thermal insulation reducing demand for powered cooling and heating; improved comfort levels within the building; reduction in hot or cold spots increasing the usable space; better acoustic insulation compared to single glazed systems; reduced condensation on the inside of windows; and lower ongoing running and management costs for the building.